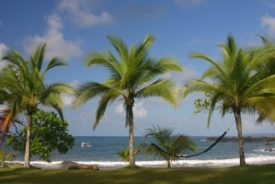 The Pacific port town of Golfito is surrounded by dense national parks, reserves and an abundance of tropical vegetation. In this former banana port, many of the banana plantations have been turned over to the production of palm oil. A highlight will be the opportunity to visit one of Costa Rica's cloud forests, located near Golfito.